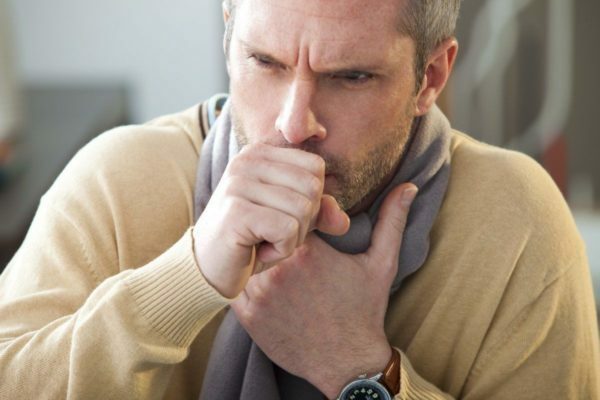 Coughing: Come on, man, you’re doing it wrong! Hygiene etiquette involves practices that prevent the spread of illness and disease. A critical time to practice good hygiene etiquette is when you are sick, especially when coughing or sneezing. Cover your mouth and nose with a tissue when you cough or sneeze. Put your used tissue in the wastebasket. In more severe cases, consider wearing a face-mask to protect others. That is all well and good, except that I frequently see patients this time of year who have injured their ribs by choosing Option #2 instead of the more traditional Option #1. Coughing into your upper sleeve or elbow can cause rib pain. Coughing into your sleeve is sometimes referred to as the “vampire cough method.” Coughing into your same sleeve repeatedly (e.g. right sleeve) can cause acute anterior rib and/or chest pain from strain of the rib muscles and joints on the front of the chest. This is because your arm is raised in front of your chest when you cover your cough this way. That posture combined with repeated coughing can cause rib damage. Instead, cover your mouth and nose with a tissue when you cough. Cover your mouth and nose with a tissue when you cough or sneeze. Put your used tissue in a wastebasket. If (and only if) you don’t have a tissue, cough or sneeze into your upper sleeve or elbow, not your hands BUT USE THIS OPTION ONLY AS A LAST RESORT. If you have to cough into your upper sleeve or elbow, be sure to alternate right and left sleeves and/or elbows so that you don’t repeatedly stress the same side of your rib cage. If you are suffering from rib pain because you have been covering your cough with your upper sleeve or elbow, we can help. Call or contact our office today.